Revealing a sleek and sophisticated style, the 2019 Mercedes-Benz S-Class Coupe stands out from any crowd. This two-door coupe is elegant and luxurious while showcasing the power and safety you need with seating for five. 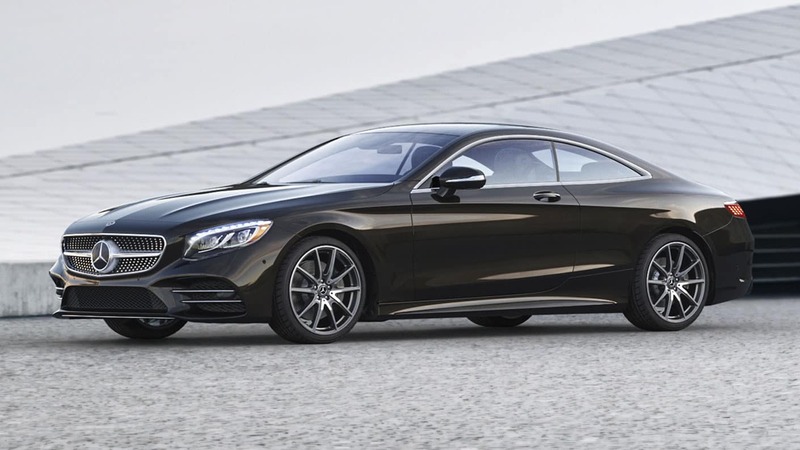 One trim level, the S 560 4MATIC Coupe, gives you everything you need. Sweeping lines create a breathtaking design for the 2019 Mercedes-Benz S-Class Coupe. New front headlamps draw your attention while the wide grille enhances the aggressive stance and low profile of this coupe. LED exterior lighting brightens the way without using as much energy. Eleven sophisticated body colours offer plenty of choice for an elegant model with shades like Obsidian Black Metallic, Iridium Silver Metallic and Emerald Green Metallic. 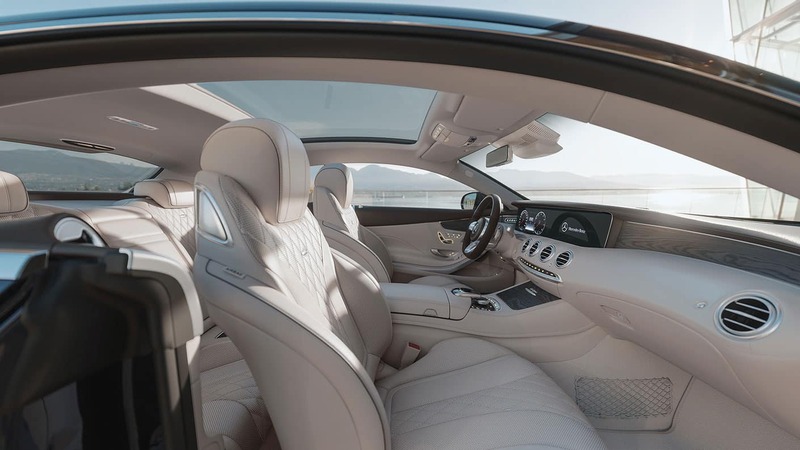 Luxury is standard on the 2019 Mercedes-Benz S-Class Coupe. Slide inside as you relax in the Climate Comfort front seats with the heated steering wheel and heated front armrests. Your passengers will also be comfortable with heated rear seats. Reduce fatigue with the 16-way power front seat with memory that is designed to adjust to provide the right support. Nappa leather enhances the refined cabin. You’re never alone in the 2019 Mercedes-Benz S-Class Coupe with Mercedes me Assist Services, which allows you to contact help when you need it. Always be informed with the COMAND system and 12.3-inch central display. You can keep your focus on the road with the head-up display while COMAND navigation makes it easy to find any destination. Entertainment comes through crystal clear with the Burmester surround sound system. 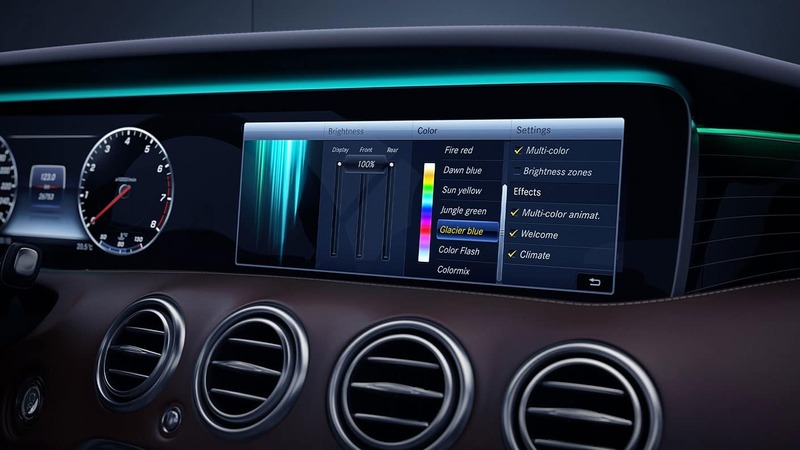 Express your individual style and customize your 2019 Mercedes-Benz S-Class Coupe with a variety of accessories. You are able to enhance luxury with Swarovski crystal accents to the headlamps, creating a distinct look. Upgrade to designer floor mats for interior protection or install a DINAMICA roof liner. All accessories are designed to work with your model and help you personalize your ride. A powerful 4.0L V8 engine provides the impressive performance of the 2019 Mercedes-Benz S-Class Coupe. This engine is paired with the 9G-TRONIC automatic transmission for smooth handling. Arrive prepared for anything with 4MATIC all-wheel drive and dynamic sport exhaust as you explore without limitations. Dynamic select lets you choose the driving mode for the situation to give you added confidence. Critics recognize what the 2019 Mercedes-Benz S-Class Coupe has to offer. Numerous safety features for the 2019 Mercedes-Benz S-Class Coupe make it a safe and fun ride. 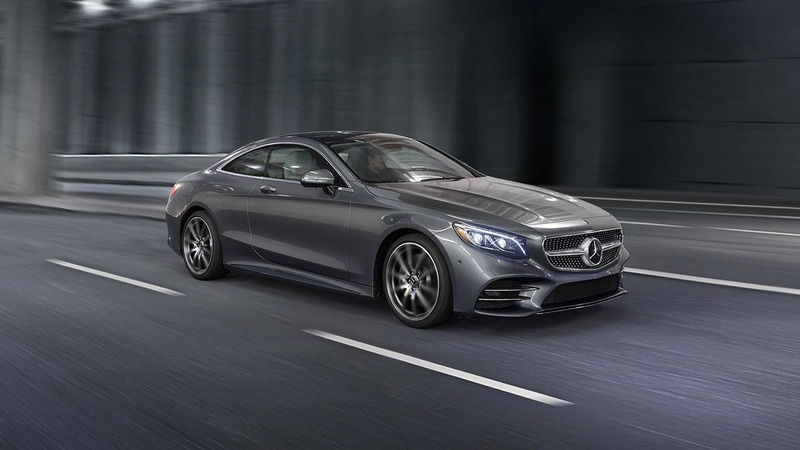 Along with the exceptional features of the 2019 Mercedes-Benz S-Class Coupe comes a first-class warranty. Elegance and performance come together in the 2019 Mercedes-Benz S-Class Coupe. This model offers premium safety and comfort without compromising style or power. Come into Mercedes-Benz Edmonton West to see the 2019 Mercedes-Benz S-Class Coupe in person. While you’re here, you can check out many other models in stock at your local Edmonton Mercedes-Benz Dealer – Mercedes-Benz Edmonton West.